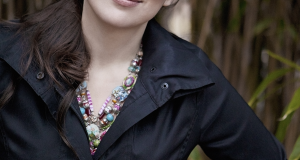 This year Bradley — who divides her career between symphony concerts and opera roles — performed The Marriage of Figaro with Pacific Opera Victoria and the Brahms Requiem with the Victoria Symphony. 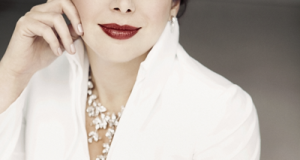 She also sang Mozart’s Coronation Mass with the Toronto Symphony and Don Giovanni with the Vancouver Opera. Bradley says her grandmother who first stirred her interest in music. A farmer’s wife with nine children, she was a “very good” pianist who played in the local church in Greenbank, Ont. “That’s where my love of music came from, spending time with her every Sunday as she played in the church,” Bradley said, phoning recently from her sister’s home outside Calgary. Leslie Ann sings with the Victoria Symphony January 1 in their annual Viennese New Year’s Concert. Details here.